Pleasant Journey Alpacas: Blog: Sliding into winter! Once again, where does the time go?? Seasons change so rapidly! One minute we are starting summer and birthing season and the next thing we know birthing season is over and winter is closing in upon us. 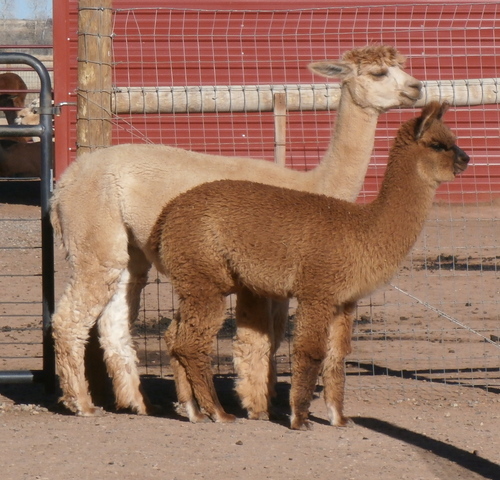 Pleasant Journey Alpacas had a wonderful cria season this year with 6 females and 2 males arriving at the ranch. All wonderfully healthy and beautiful. We were very excited this season as 5 of the crias were sired by our own NeverSummer's Manchester. And they are awesome! Already thinking of who the females can be bred to in a couple of years. Yes, bet lots of you do that too! Our herdsire Alpine's Volt also showed us what he can throw with the arrival of High Voltage (dam is none other than our CCR's BonBon). Of course along with birthing season comes breeding season. After seeing the Manchester offspring hit the ground we repeated some of those breedings. 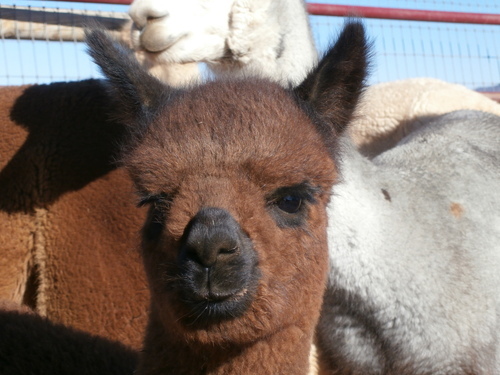 Guess we got breeding fever though as we expect 15 new cria next year with a variety of sires. 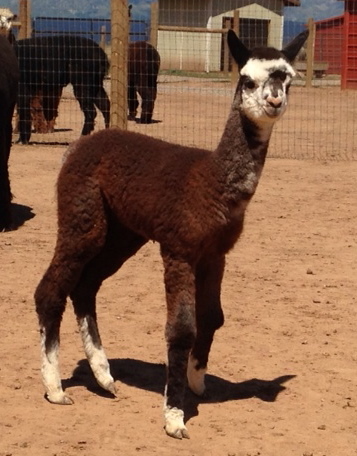 Stay tuned for summer 2015 cria season updates! There were lots of visiting girls this year as well for breedings to Manchester, Altitude and Volt. We attended two alpaca shows this fall as well. One in Iowa and one in our home state of Colorado. 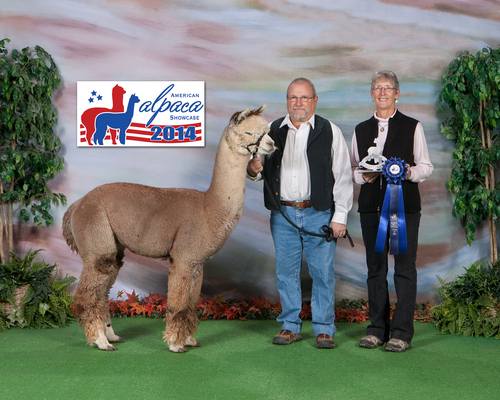 We had good success at both but one of our happiest moments was receiving 1st in class and Reserve Color Champion for PJA Altitude's GreyHawk (CMRG) at the American Alpaca Showcase in Iowa. Additionally, one of our customers took a 1st place ribbon for yearling dark brown males with their male Zeus of SaTeen at FallFest in CO. We are proud as Zeus is an Adonnis' Altitude NS son and was born on our ranch. Love watching him grow up and do well for a customer. 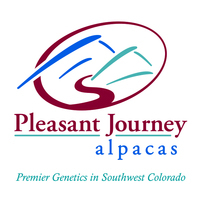 Now, on to the holiday season with Pleasant Journey Alpacas Holiday Open House! We are expanding our hours this year to include all 3 weekends in December before Christmas! 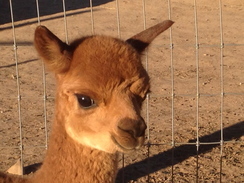 Hope for great attendance to meet alpacas and shop for great alpaca gifts!